Need a sweet treat that's as easy to make as it is delicious to eat? Try our Strawberry-Graham Bites for a quick snack. 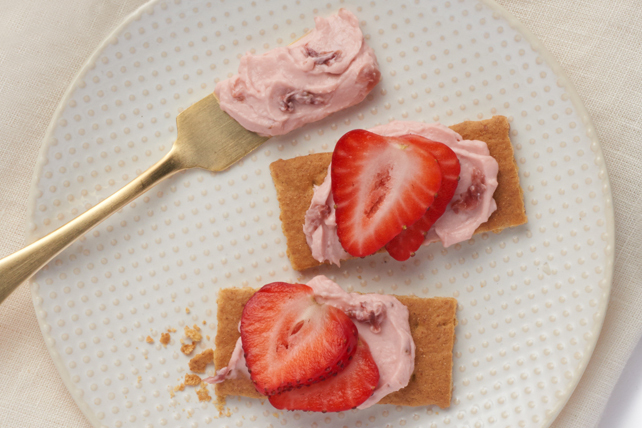 Spread graham pieces with cream cheese product. Prepare using Philadelphia Peach Cream Cheese Product and 4 small fresh peach slices.